This saree has the perfect mix of modern patterns and contemporary design. 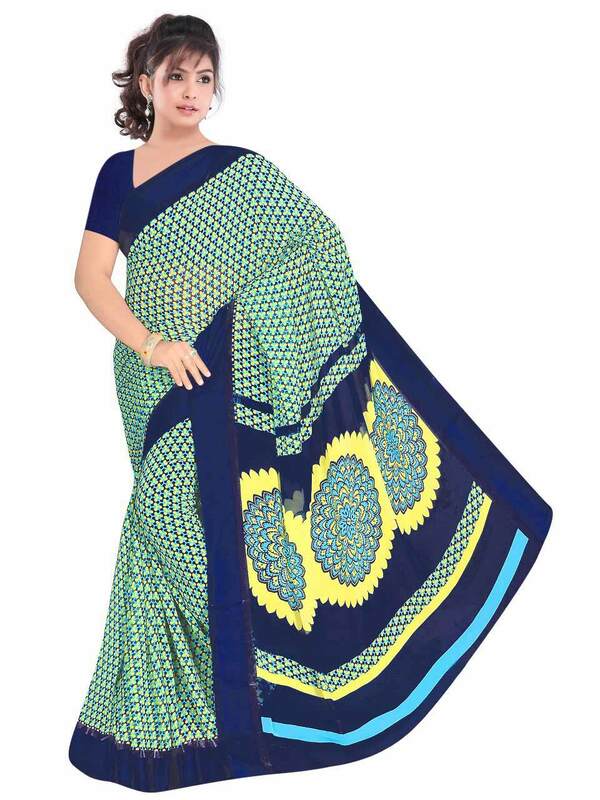 The body of the saree has radiant Turquoise color with Dark Blue border. The body and Pallu has Beautiful Digital Printed designs on it.